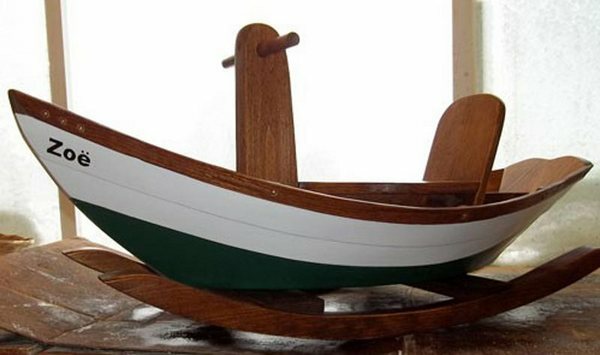 Ahoy there, little sailor, it's a rocking boat! Ahoy there, little sailor, it’s a rocking boat! You’re never too young to captain your own boat. 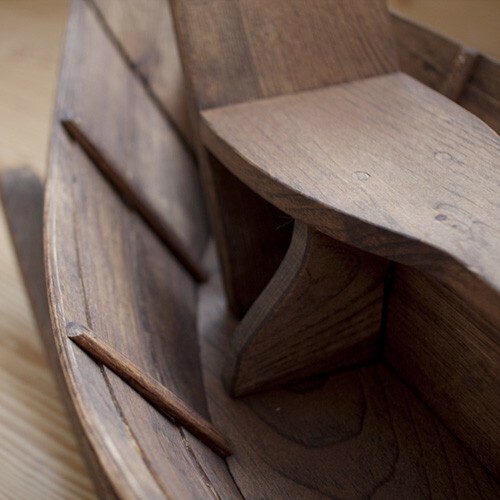 In fine sea-faring tradition, these spectacular hand-crafted wooden rocking boats are built on the coast of Maine, United States, by a former fisherman. 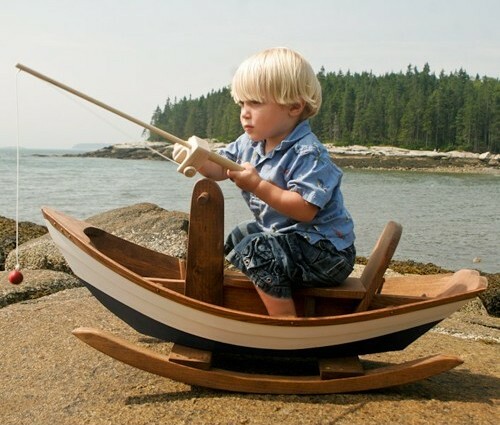 Just like the full-sized traditional dory boats, this pint-sized dory boasts lap joint construction and is made from hard and soft woods salvaged from local Maine timberyards. The Rocking Dory is available in a choice of three striking nautical colour combinations – white teamed with either blue, red or green and because there’s all sorts of tradition associated with naming a boat, the dory can be personalised with your child’s name. 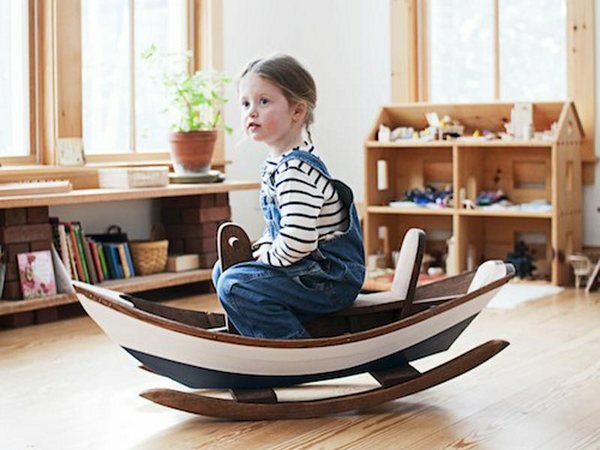 The Rocking Dory is suitable for children aged one to three years and is priced at US$274.95. Unfortunately Bella Luna Toys only ship within the US so you would need a freight forwarder to secure one of these charming vessels for your little sailor.